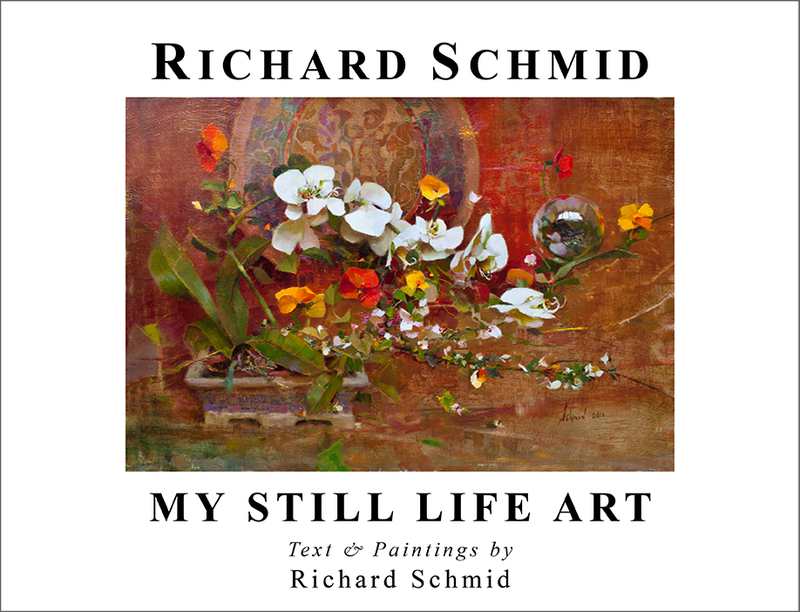 In this new book, Richard Schmid invites you to enjoy his life-long affair with still life painting. 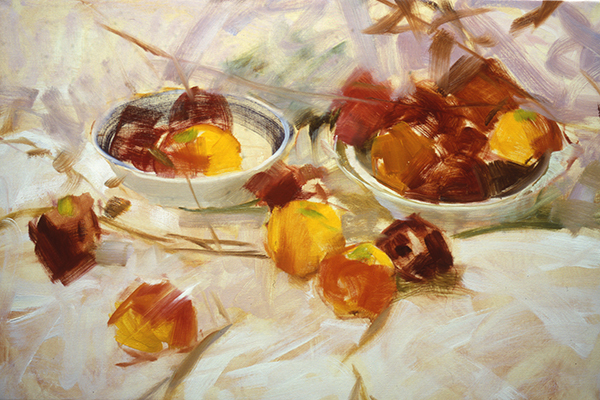 Although he has painted a wide range of other subjects, such as landscapes, marine paintings, portraits, figurative works etc., it was still life painting that allowed him the privacy and unlimited time to develop and fine-tune his techniques and color perception. More to the point of Still Life, Schmid shows us how even the most ordinary things can be transformed into objects of astonishing beauty and sometimes of surprising complexity. 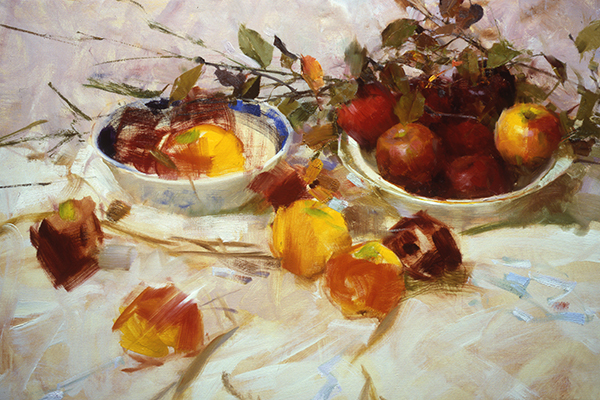 He explains that the objects in a Still Life need not be thrilling in and of themselves, but rather it is the way they are painted that makes them so compelling. ..........With over 300 color plates, this book features many close-up images revealing the different ways he uses his palette knives and brushes. As you turn the pages of this book, you will discover Schmid's efforts and achievements in capturing not only the world he sees, but also the world of his imagination. 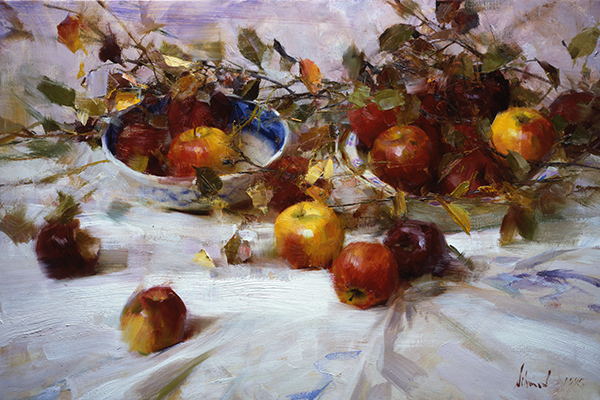 This book features several still lifes in their stages of completion, as well as still lifes shown in close-up views as step-by-step developments of paintings.